ARLINGTON, Texas – February 28, 2017 – Employees of Texas Trust Credit Union spent President’s Day volunteering at the Mission Arlington charity organization. 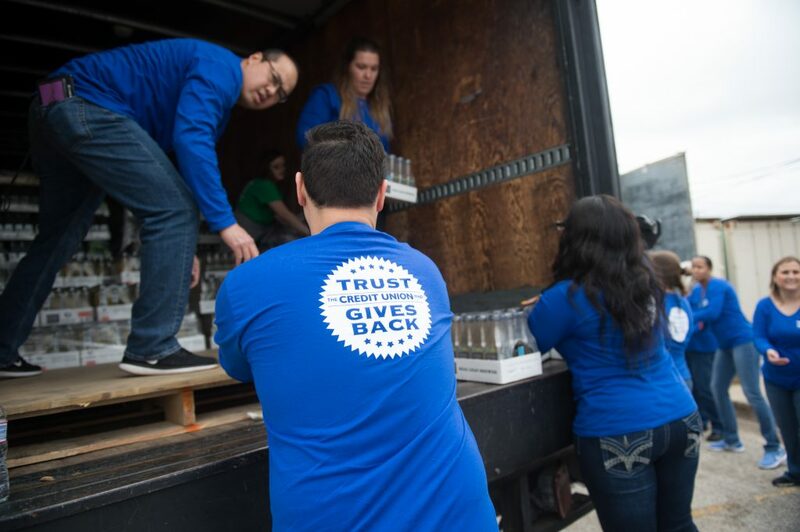 Nearly all of Texas Trust’s 260 employees took part in the President’s Day volunteer effort, which was part of the credit union’s annual all-employee training event. This was Texas Trust’s fifth annual employee training event, which is held every President’s Day. Besides the large scale volunteer effort, Texas Trust employees assembled for an awards ceremony, the 2017 “state of the credit union” assessment, and enjoyed lunch together. Employees were bused to Mission Arlington and divided into teams of 10. Each team worked in a different area within the Mission. Teams unloaded food trucks and restocked the food bank; sorted clothes for the community closet; organized supplies and materials for after-school programs; and relocated hundreds of Bibles and other books so the Mission can make repairs to the water-damaged library. The faith-based Mission Arlington charity feeds, clothes, mentors, and nurtures the hearts and spirits of those in need. It is led by Tillie Burgin, an Arlington native and former missionary in South Korea. She launched Mission Arlington with the support of her church family at First Baptist Arlington in 1986. 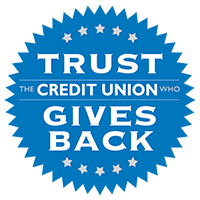 In addition to their time and effort, a number of Texas Trust employees also donated a personal day off back to the company, amounting to $8,220 that the credit union is giving to Mission Arlington.